I love it! Really cute and well done. 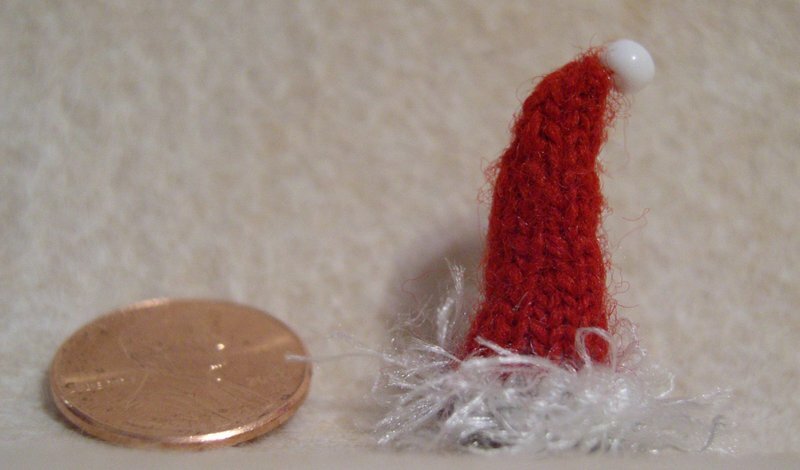 not being a knitter-person, I am Impressed! besides, it's absolutely adorable. I can't wait to see your Santa wearing it (hint, hint!). holy cow that's cute!!! Love it! That is just too cute. Now I know a Santa that size will not have trouble getting down the chimney! That is brilliant and would look superb in a dolls house. I'm refusing to do christmas yet! That is so adorable! Size 0000, is that the same as sewing needles? Wowee! 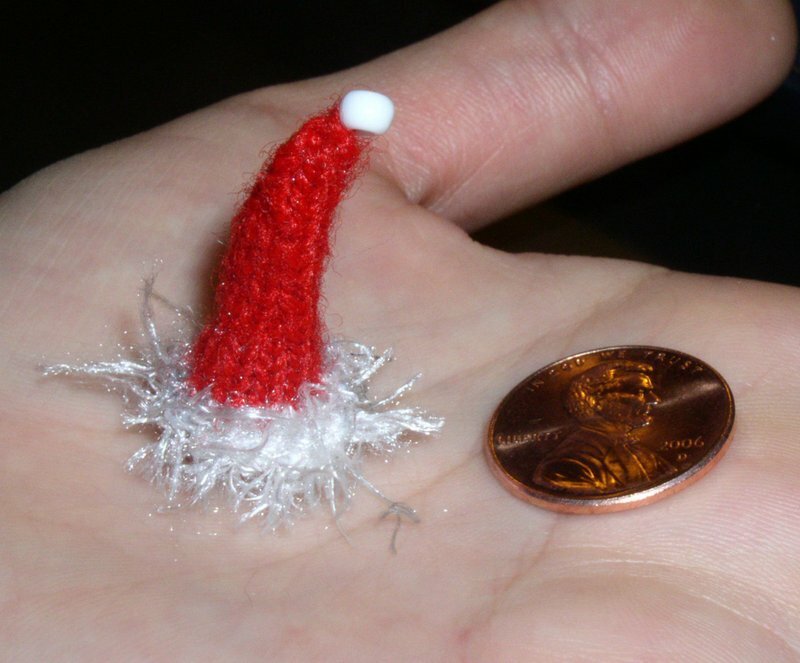 That is so teeny tiny. Looove it! Too cute! I have really been away from blogging too long. Darn cold! I am so glad that I am back and able to catch up on your wonderful projects! OMG!!! SO tiny! I would've poked my eye out! Great job! I just made my santa hat the other night. Not near as small or neat as yours tho. Boy, that had to be hard to make it's so darn small.